The most expensive cars offer so much more than just transportation. They are trophies owned by the 1% of the world. Some models are created for one person alone and only have one buyer of the name plate. We occasionally come across such mind boggling machines in the media too. In Fast and Furious 7, the car breaking into the second tower after jumping from the first one was a scene that the whole world remembers. One character said that there were only seven of those cars made for the wealthiest of the people. We have compiled a list of ten most expensive cars that were recently produced. They do not include the auctioned version of the classic. Also we have limited the list to cars that have one name plate only which means that you can’t expect another version of the same Bugatti Veyron. The list of most expensive cars you should definitely know about. The only super hybrid cars that we fantasize about are the McLaren P1, Porsche 918 Spyder and the Ferrari laFerrari. Why the Koenigsegg is always left out despite outshining the electrified competition in many ways is beyond comprehension. The tag is $2 million and the Regera produces 1,200 hp in total with the power coming from a twin turbo 5.0 liter V8 and a battery pack worth 4.5 kWh. 0 to 60 in 2.8 seconds. 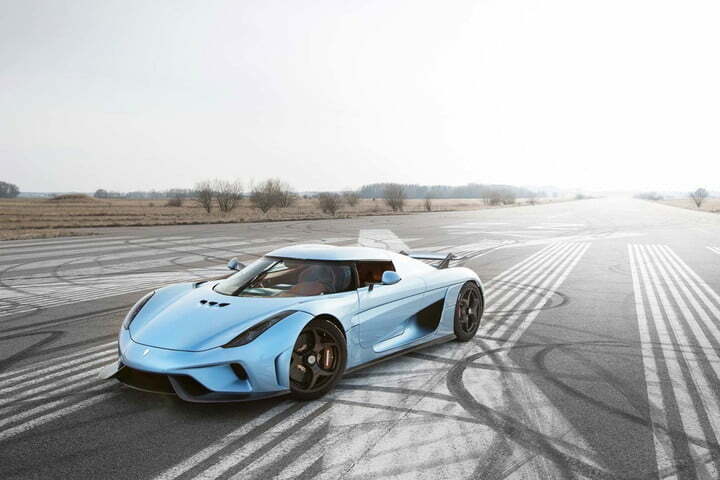 The car is quite impressive but the way Regera sprints to 186 mph from Zero is even more impressive. It’s done merely in 10.9 seconds. By the estimates of the automaker, the car can reach its top speed of 248 mph in just 20 seconds which is downplaying physics most evidently. The estimate has not been tested as yet. Why? Probably, because the other cars on the road won’t allow and they haven’t found a lonely road that long. There is a lot that can be bought with $ 2 million in hands. You can buy a really nice house and a Mazda MX-5 or just the Swedish megacar in the title above. Megacars don’t give much thought to logic so even if you think of logical ways to spend the money, you might be tempted to buy this one for what it can offer in that price. Based on the Agera R, it employes a 1:1 kg to hp ratio giving it a 1,340 hp that can theoretically take it to 273 mph and thus it is one of the fastest automobiles ever made. Its carbon fiber, ventilated ceramic brakes and honeycomb core of the F1 style are also the most advanced in their regime. Just six examples of the Swede were ever built and they too were sold out fast. If you keep an eye on Craigslist- you never know when you might hit a novelty! With a price tag of $2.5 million, The Italian brand built 10 models of this bombshell to celebrate 60 years of the company in North America. Wearing a colour scheme of stars and stripes, it pulls off patriotism beautifully- based on the F12 Berlinetta. It has AMerican flag seat inserts and a classic racing livery all around that allows you to experience the glory with the top down. This is possible because the F60 features a fabric that is lightweight and supports operating speeds up to 75mph. The glorious car can be propelled to 60 mph in only 3.1 seconds and we owe that to 6.2 liter V12 that churns 740 hp. The car could be a throwback to the 1950s and 1960s when it made several regional sports cars. The Huayra is named after the Incan God of Winds and lives up to its name as it has the second fastest road-legal top gear lap ever to hit the studios. With an AMG sourced V12, the best lives up to its name. Pagani debuted the Huayra BC in 2016 Geneva Motor Show that was a lighter and alluring version. The BC version has been fitted with a huge active rear spoiler that generates 1,102 pounds of downforce at a speed of 155 mph. The car is a true featherweight with 2,654 pounds because of the lightweight carbon fibre and lightweight materials used and could have cost you $2.6 million if all 20 units ever produced would not have been sold! Also, the 6th most expensive cars. The Bugatti Chiron has a price tag of $3 million, it is one of the most expensive cars to ever reach showrooms. Its gorgeous new body surpasses its predecessor in every way. It aimed to laugh at those who believed that the Veyron was the last of its kind. This was proved by pushing the efficiency of the vehicle further. It has monstrous specs no doubt the efficacy of which is made possible through a quad turbocharged 8.0 liter W 16 which produces 1,500 ho of power. 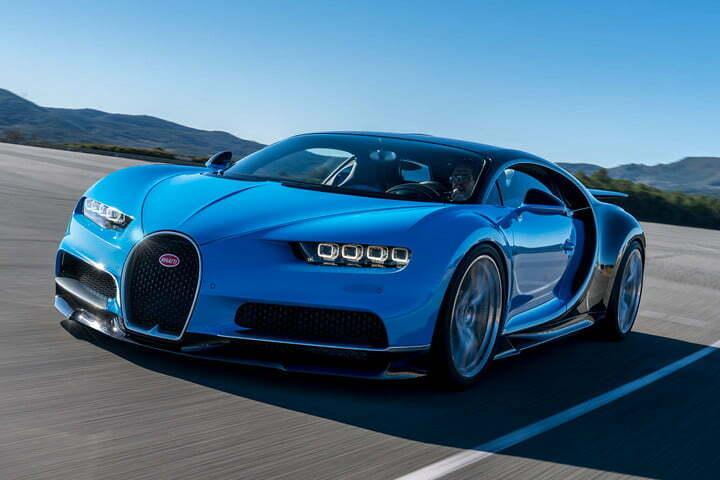 The Chiron goes 0 to 60 in just 2.5 seconds with its top speed being 261 mph. Despite this, it is not the fastest car in the world- that is the Hennessey Venom GT- but then cars like these are not meant for speeding; they are meant for the impact. When a person comes out of a car like this, there is a statement that can’t be forgotten for long! 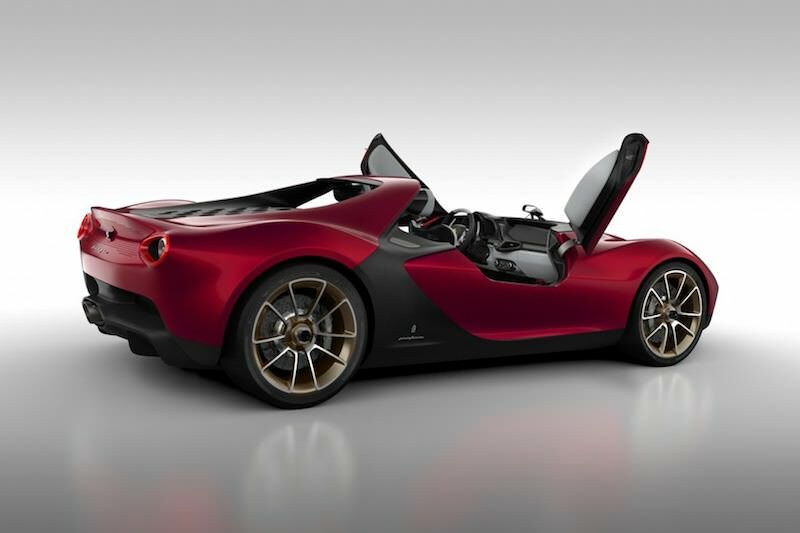 The Ferrari Sergio asks for $3 million should you want it, but it still isn’t the most expensive cars on our list. Yet it is a trophy car and only six were ever made. It is essentially a redesigned version of the Ferrari 458 Spider. With a new body and interior it delivers 562 hp with its 4.5 liter V8 that sends the power to the rear wheels. To top it all, it weighs only 458 so it is quicker and better to handle. The aerodynamic headrests are built directly into the roll cage so the new body doesn’t just save weight. In addition, it is full of interesting details. Each owner of this Sergio was chosen by the automaker itself thus making it one of the invite-only and rare vehicles in the history of automobiles.Each owner of this Sergio was chosen by the automaker itself thus making it one of the invite-only and rare vehicles in the history of automobiles. After the Mighty Eagle, we have the Mighty Bugatti Veyron. It is not only one of the fastest cars in the world but also one of the most expensive cars with a price tag of $3.4 million. This list would not be complete without the car so we cast the light on the Mansory Vivere edition here. It has an alluring carbon-fiber body with upgraded LED lights. With a revamped interior and a redesigned front grill. In addition, the machine delivers 1,200 hp on the road. It can do a scary 254 mph by the way which adds more class to the historic race events maps etched into the exterior and the interior. The car was made as a celebration of the automaker’s 50th birthday. Interestingly, it is Spanish and translates to Poison or venom. With looks like that, it surely does kill. There is only one thing that is more remarkable than the car which is the price tag. It is for a whopping $4.5 million and attractive from every angle. It appears to be a UFO surveying the planet. 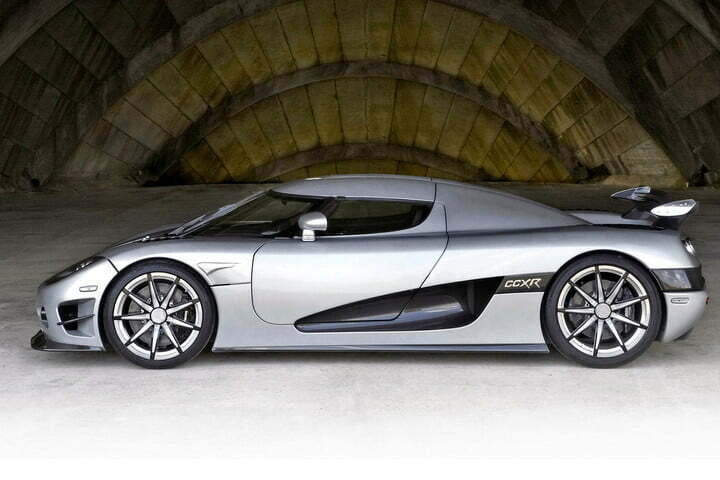 In addition, the car is fast, delivering 60 mph in 2.9 seconds with 8,400 revolutions pm and 740 hp. This car is for $4.8 million and is legally allowed to run on the road. Why is there so much coin to it? It has real diamonds coating and diamonds do not come cheap. So basically now we are dolling up cars too. The touch up paint that covers the body of the car was made by carbon fibre impregnated with diamond dust. Beneath the extravagant lustre is a 4.8 litre tank with 1,004 horsepower engine which seems quite comical given the price tag. The efficiency of the car does not match the price tag by any means. In addition, only three such cars were ever made.In addition, only three such cars were ever made. By far the most expensive cars on our list, the Maybach Exelero makes its on second place. Built by German luxury car manufacturer Maybach, it is a one-off high-performance sports car. It costs $8 Million and can reach a top speed of 351 km/h. The car was purchased by rapper Birdman in 2011 for US$8 million. 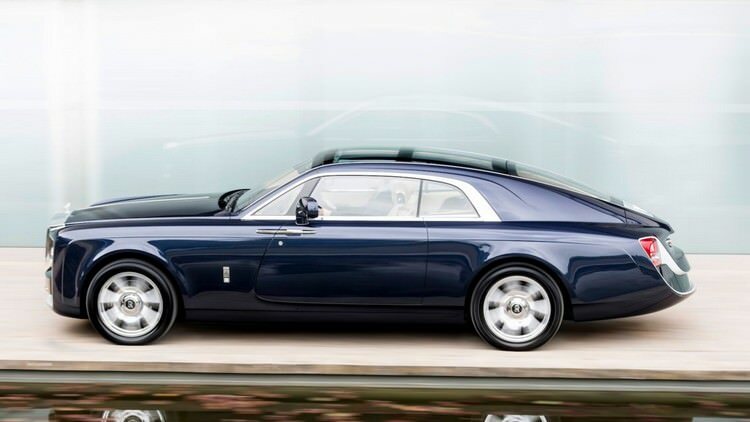 Rolls-Royce Sweptail is a one-off custom build car. At a reported price of nearly $13 million, it is believed to be the most expensive new car ever commissioned. This entry was posted in Most Expensive Thing In This World. Bookmark the permalink.